Having a plan for your week is an easy way to make sure you stay on track with your health goals. If you sit down on Sunday before you go grocery shopping and plan out all the meals for the week, you are more likely to stick with the plan and make big strides towards your goals. 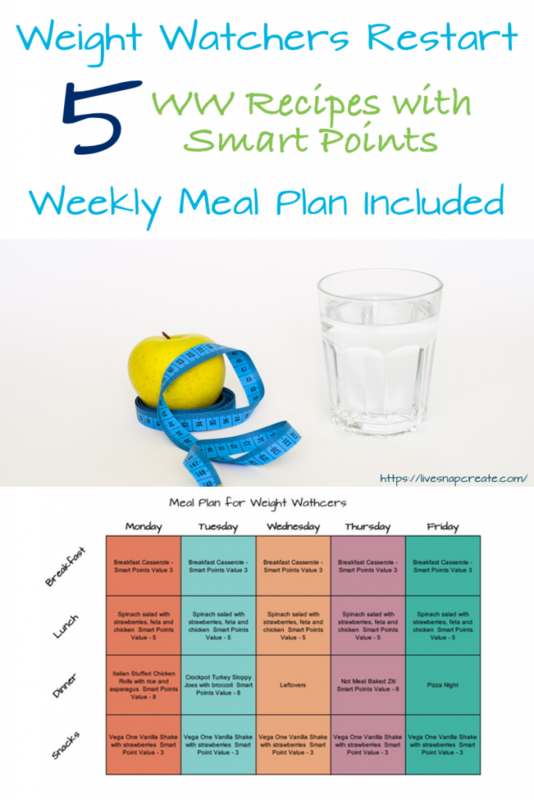 I have done some of the work for you, by creating a meal plan for you with easy recipes to go along with it. 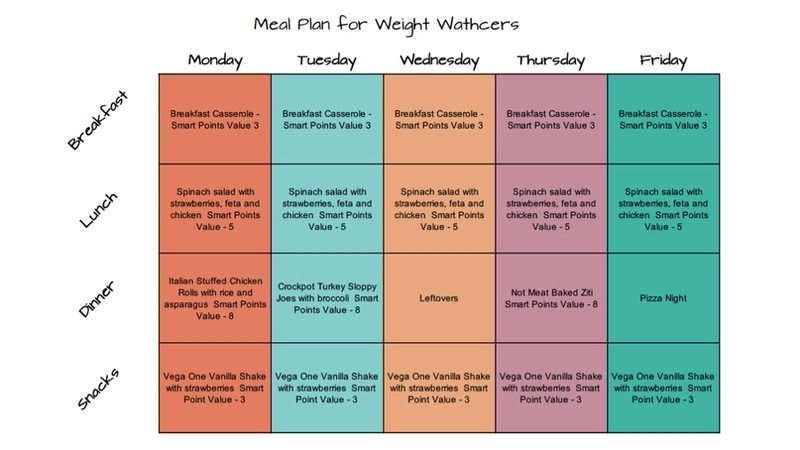 Fair warning, I do plan leftovers into my meal plans, as I don’t have the time to cook every day. I also make one breakfast for the week and one lunch for the week. I change them up week to week, but using this method a. Saves time and b. Saves money. (It is a complete coincidence that every dinner came out to be 8 Smart Points!). So on each day, I have accounted for 19 points. If you are allowed more points you can either roll that over or have a small snack. Read on for the recipes and meal plan. I hope they will help you along on your journey!! Let me know if you have any questions or comments. You can get a free blank copy of this meal planner by signing up below.